After your business has experienced a disaster from water damage, a fire or an act of mother nature, you can count on ServiceMaster by CME for all of your commercial restoration needs. When your business has experienced a disaster, every minute counts. That is why we are on call 24 hours a day, 7 days a week, 365 days a year and are ready to be on-site within two to four hours of your call. A disaster can put more than your property at risk, it can also put your customers, revenue, inventory and reputation at risk. With so much on the line, you need to call someone you know you can trust. We are backed by more than 50 years of experience, leadership and expertise in helping businesses get back to normal as fast as possible. We are a member of a large network of certified Quality Restoration Vendors (QRVs) across North America. All of our employees go through intensive training and follow strict standards for disaster recovery ensuring the highest level of customer service and technical expertise. When we arrive on-site we will assess the situation, develop a mitigation plan and then begin restoration. 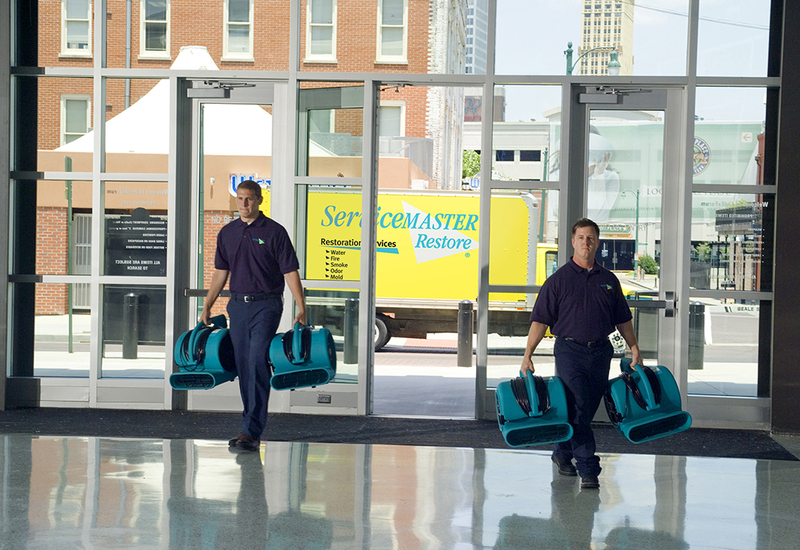 For the best commercial disaster cleanup that you can trust, call ServiceMaster by CME today.